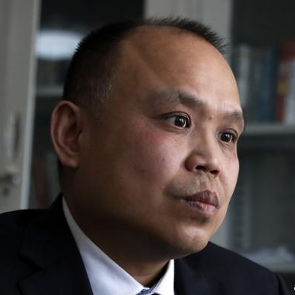 The French and German ambassadors to Beijing have granted a human rights award to a detained Chinese lawyer, with his wife picking up the prize on his behalf. Mr Yu Wensheng – best known for suing the Beijing government over the city’s once chronic pollution – was detained in January last year and charged with “inciting subversion of state power”. Beijing has stepped up its crackdown on civil society since President Xi Jinping took power in 2012, tightening restrictions on freedom of speech and detaining hundreds of activists and lawyers. Prior to his arrest, Mr Yu had circulated an open letter calling for five reforms to China’s constitution, including the institution of multi-candidate presidential elections. His wife, Madam Xu Yan, received the award at an event organised by the German embassy in Beijing on Monday (Jan 14). The prominent attorney was among 15 winners of the Franco-German Prize for Human Rights and the Rule of Law for 2018, announced in November last year. “He (Yu) has lost his freedom for a year and not allowed to meet with a defence lawyer,” Madam Xu said at the event attended by the German and French ambassadors to China, according to a transcript she posted on her WeChat social media account. Au cours d’une cérémonie chaleureuse qui s’est tenue le 18 décembre, les ambassadeurs d’Allemagne et de France en Égypte ont remis conjointement le Prix franco-allemand des droits de l’Homme et de l’État de droit à M. Mohamed Lotfy. Ce prix, décerné cette année à 15 lauréats à travers le monde, récompense depuis 2016 des personnalités qui contribuent de façon exceptionnelle à la protection et à la promotion des droits de l’Homme et de l’État de droit dans leur pays et au niveau international. Il témoigne de l’engagement constant de la France et de l’Allemagne en faveur des droits de l’Homme et de l’État de droit partout dans le monde et contribue à renforcer leur coopération dans ce domaine. Sirikan Charoensiri, avocate thaïlandaise des droits de l’Homme au sein de l’organisation Thai Lawyers for Human Rights (TLHR), a reçu le mercredi 19 décembre au soir à la résidence de l’ambassadeur d’Allemagne le prix franco-allemand pour les droits de l’Homme et l’Etat de droit des mains de l’ambassadeur de France en Thaïlande, Jacques Lapouge, et de l’ambassadeur d’Allemagne, Georg Schmidt, en reconnaissance de son travail pour défendre les Thaïlandais affectés dans leurs droits depuis le coup d’Etat de mai 2014. In December, lawyer Ragia Omran was one of 15 rights defenders from around the world to receive the Franco-German Prize for Human Rights and the Rule of Law. She was also awarded the Robert F. Kennedy award for human rights in 2013. Omran, who comes from an affluent background, has been entrenched in the human rights movement in Egypt for two decades, mostly as a volunteer, while simultaneously maintaining a practice in corporate law. Mada Masr sat with her for an hour as she reflected on these different aspects of her life. Mada Masr: You have a career in corporate law, while being extremely engaged in human rights. How did this happen? 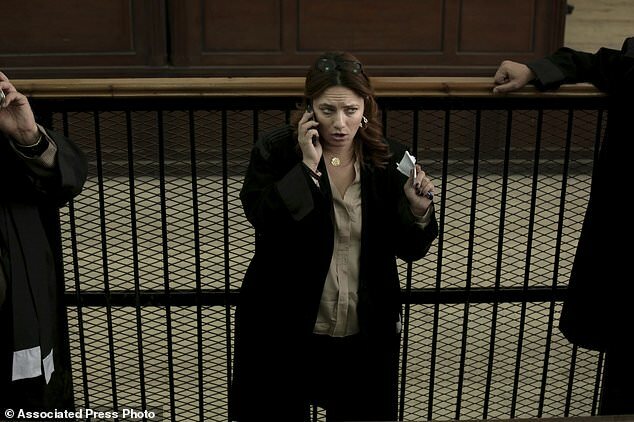 A prominent Egyptian human rights lawyer has won a European prize for her work representing political prisoners and torture victims as well as advocating for women’s rights. Ragia Omran was chosen from among 15 rights defenders from around the world to receive the Franco-German Prize for Human Rights and the Rule of Law. The German and French embassies in Cairo announced the award earlier this week, and will present it to Omran on Dec. 10. Several Egyptian rights activists have been recognized in recent months for their work amid an unprecedented crackdown on dissent. Since the military overthrew an elected Islamist president in 2013, Egypt has jailed tens of thousands of dissidents, banned all unauthorized protests, restricted civil society groups and blocked hundreds of websites. At the Franco-German Council of Ministers in April 2016, Germany and France announced the launch of an annual international Franco-German Prize for Human Rights and the Rule of Law. In 2017, the prize is being awarded for the second time to committed human rights defenders from around the world who have done outstanding work in their respective countries to uphold human rights and the rule of law. All prize winners will receive a diploma and a medal designed by artist Anna Martha Napp that was chosen by a Franco-German jury. The medal symbolises their active commitment to the defence of human rights.